CONTINUE READING: Christians, Don't Give Up! So true, Bill and Teddy. 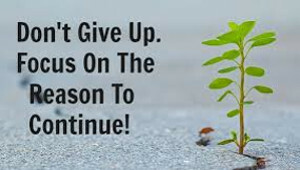 Never, never, never, never give up! God gives us the will to carry on. Thanks for sharing this. So true Bill and Teddy, Christians don't give up because God got our back and will protect us at all times. Thank you for publishing your post in the SE community.